KIC: Kids in Christ is for the elementary school age group. This group is for kids in first through fifth grades. Fun activities are planned for the kids and their parents. Parents can contact Layne or Mary Beth Fuller (361-579-6535) to get involved. You will be redirected to a family friendly site and away from Grace Lutheran Church site when you click on the picture below. Hey, Kids! 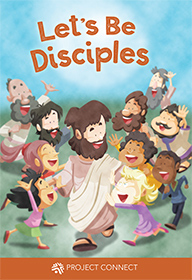 Check out this kid-friendly website from Lutheran Hour Ministries. Great stories, puzzles, and games, just for you! KIDS Stamps (formerly known as Tracky Stamps) are available every Sunday in the Sunday School hallway. These stamps are sold through Church Extension Fund. They are available in 25 cents and $1 stamps. This is a great way for your child or grandchild to save and also help churches in the Texas District. It is also a great opportunity to start or add to a savings account. See Chuck or Carolynn Mueller if you have any questions.